The Chipotle is a jalapeño pepper that has been smoked and dried. This is one of the small ‘secrets’ of Mexican cuisine, which uses it very often in its soups, sauces and stews. Chipotle is mainly produced in the Mexican state of Chihuahua. Jalapeño peppers are left to ripen on the plant until harvest time and then treated for several days in a smoking chamber, according to a preservation method that dates back to the time of the Aztecs. 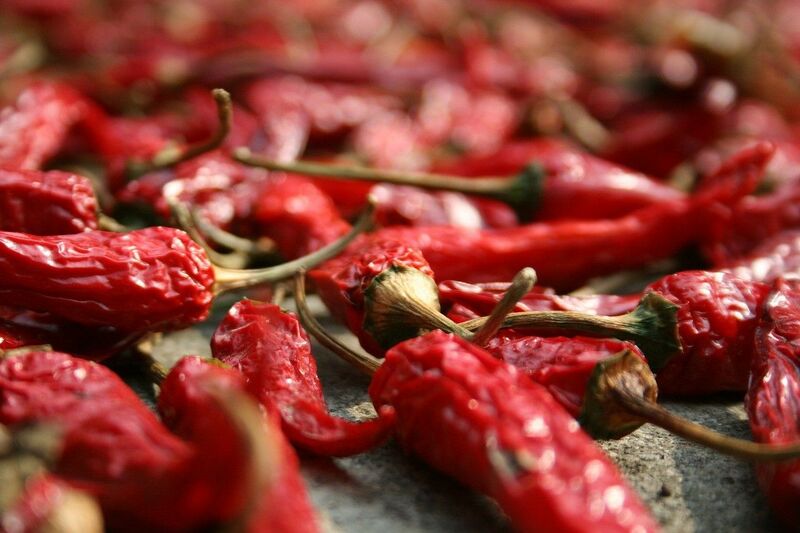 Once dried, the pepper turns coffee brown in colour and loses a bit of its heat (7,500 on the Scoville scale, instead of 9,000 for fresh jalapeños). However the chipotle acquires flavour, as it develops a delicious fruity and smoky aroma with a hint of chocolate and hazelnut. Chipotle peppers are sold as is or in powdered form, or even canned in adobe sauce, made from chopped chives, vinegar and herbs. It is in this form that I normally buy it in the ethic food section of most grocery stores. A small amount is enough. The unused portion has a long shelf life in the refrigerator and can also be frozen. Originally published in the Journal de Montréal on September 22, 2012.